Aakash provide quality catering to a wide range of corporate events. Finding the perfect balance of service with privacy, Aakash are happy to accommodate business and strategic conferences, work nights out and more and fully understand the importance of these occasions. In the past, Aakash have provided catering that has been carefully tailored to the needs of the party and the event, with more than satisfactory results. We are committed to providing you with a comprehensive and joyous service, ensuring your experience is enhanced, not hindered. No other establishment can marry the unrivalled quality of food and service with what has got to be one of he most amazing establishments you will ever visit, it’s a venue with the victorian charm of the grade two listed building. So why not mark your special occasion at the grandest venue of all, Aakash. If you are looking for that special venue to complement your special occasion then look no further than Aakash. The unique surroundings of the Aakash allows you the flexibility to create a memorable celebration. 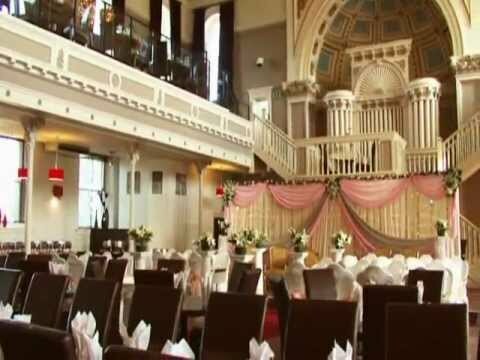 Choose the whole venue to accommodate 850 people or for more intimate occasions why not combine and select from the Grand Main Hall or the purpose built Function Room. Our unique approach to making sure that all your needs are met means you will have a dedicated event planner to help you organise everything. Whether it be special decorations or a stage, just ask ! It is our pleasure to make your event the most pleasurable experience. Masters of the art of banquet catering we can develop bespoke menus and drinks package for any occasion to suit your budget and requirements. We are proud to cater for vegans and vegetarians and all our food is halal. If you can’t come to us, don’t worry we will come to you, we provide a full catering service for any number of guest at a venue of your choosing. For more information call us on (01274) 878866 or simply complete the contact form and we will contact you.